Cannon Beach is one of the more popular towns along the Oregon Coast, and we could definitely see why. 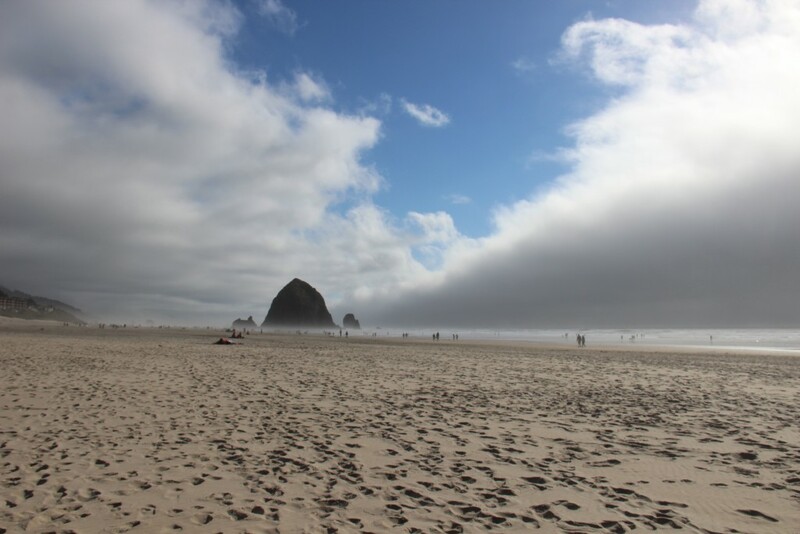 Haystack Rock is a prominent feature on the coastline, and it draws a lot of crowds! 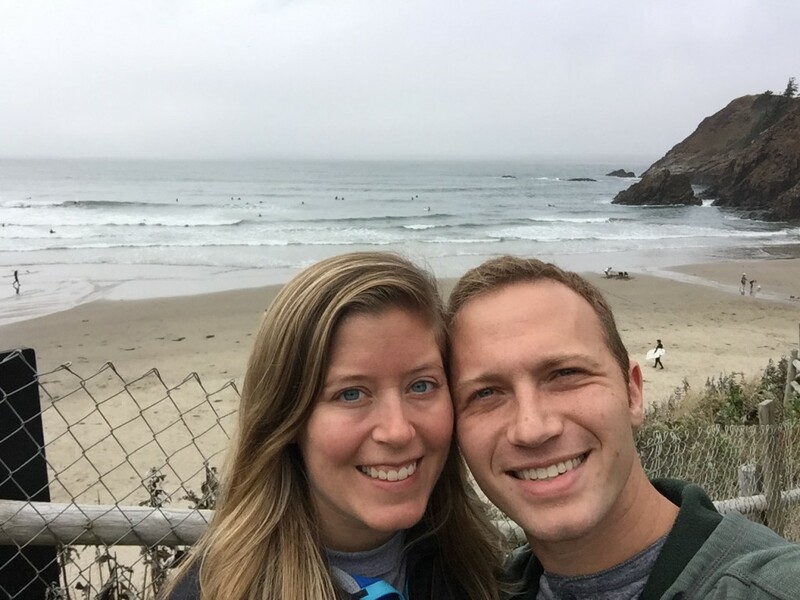 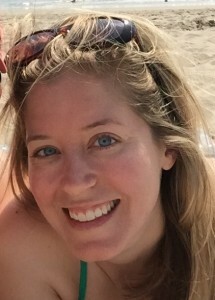 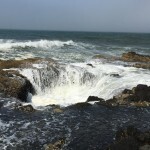 We were excited to have a day to spend exploring the town, beach, and surrounding area. 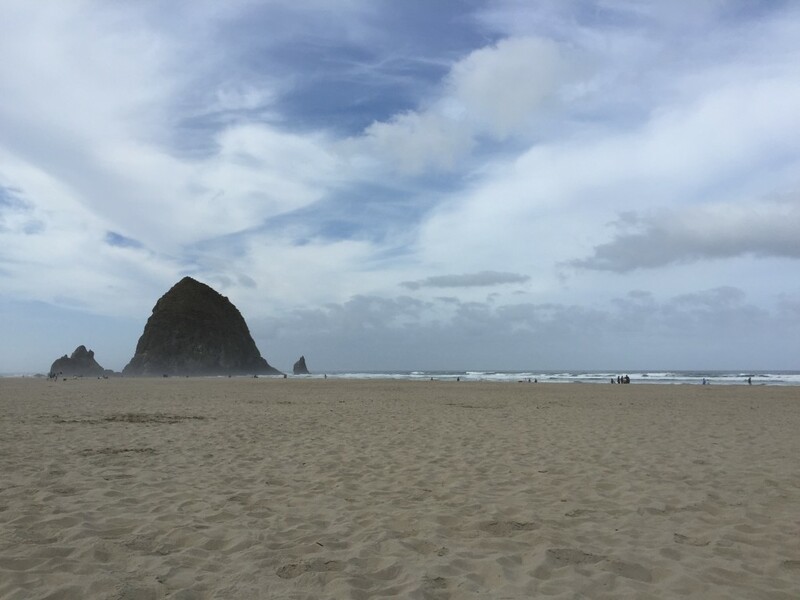 If you stay in Cannon Beach, make sure you check out the Sleepy Monk! 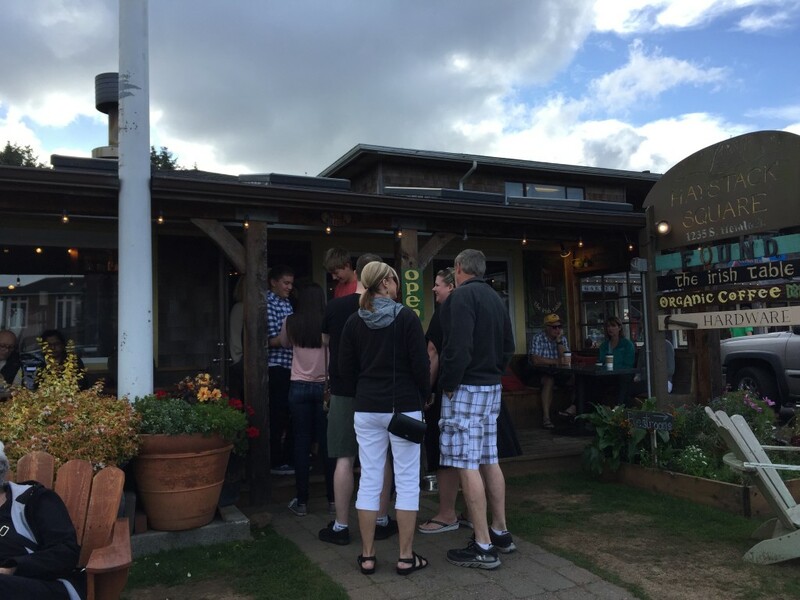 It’s the best coffee in town – both mornings we were in Cannon Beach there was a line out the door! 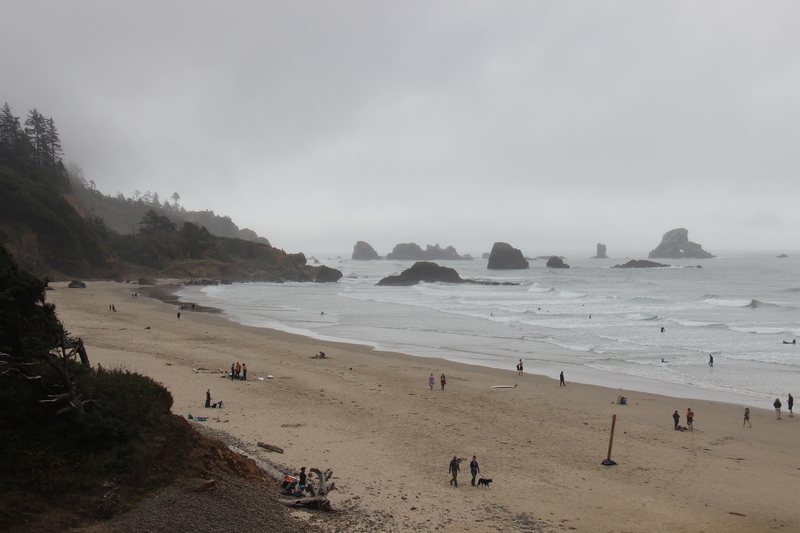 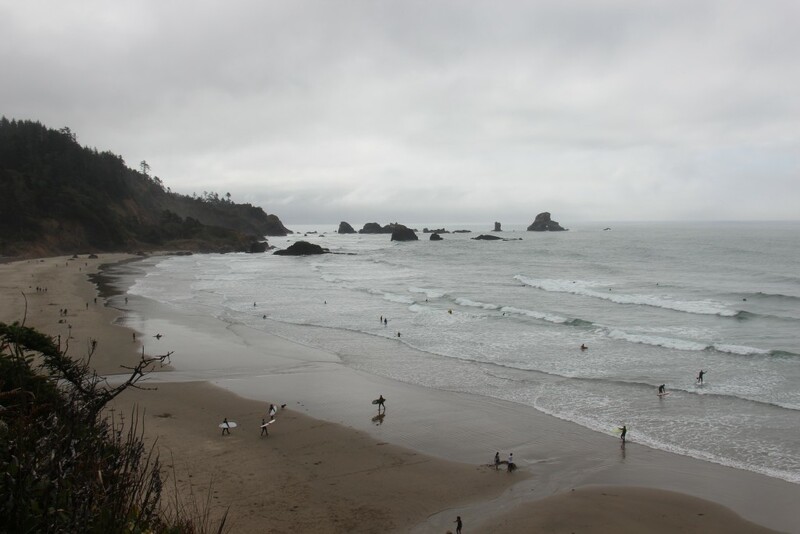 It was another cloudy day, so we ditched our plans of sitting out at the beach and headed over to nearby Ecola State Park to do some hiking. 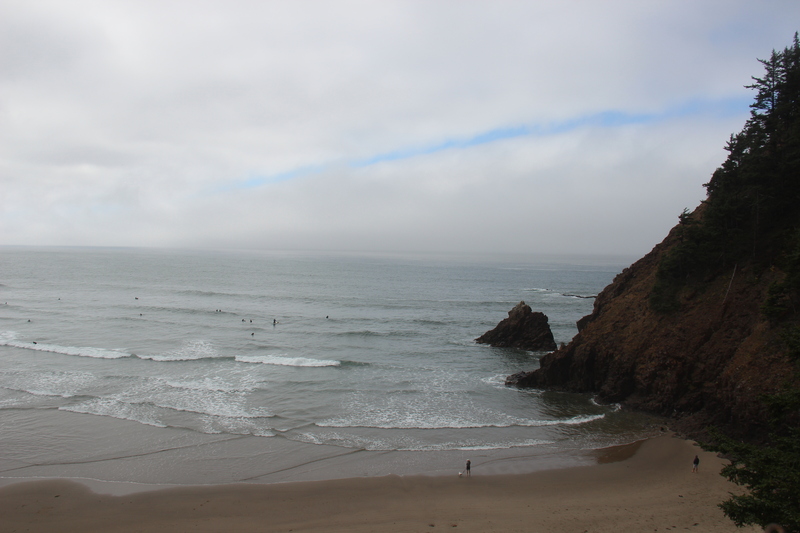 Indian Beach is incredibly popular with surfers – we had a hard time finding a parking spot because of all of them! It was fun to watch them all ride the waves though. 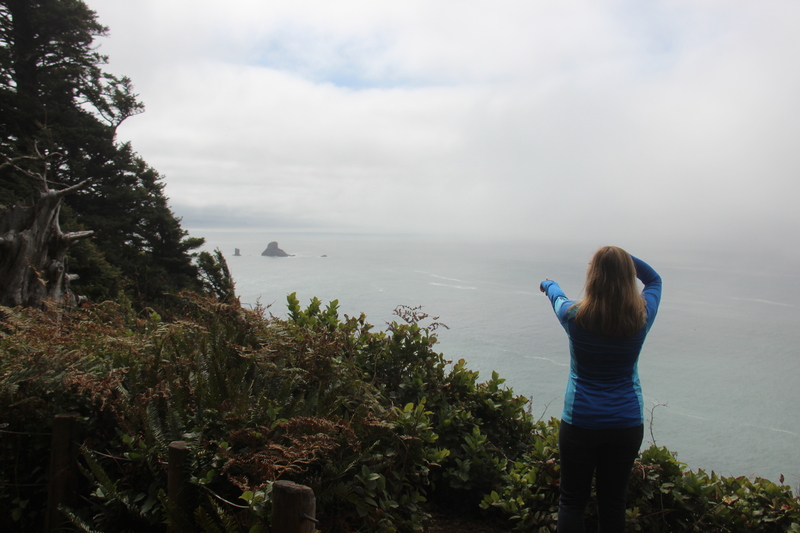 Here we are beginning our hike on the Clatsop Loop Trail to see the Tillamook Rock Lighthouse. 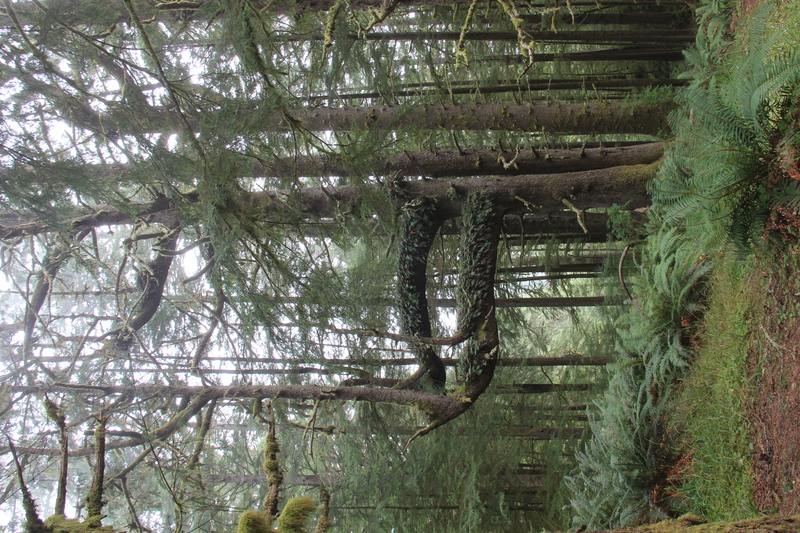 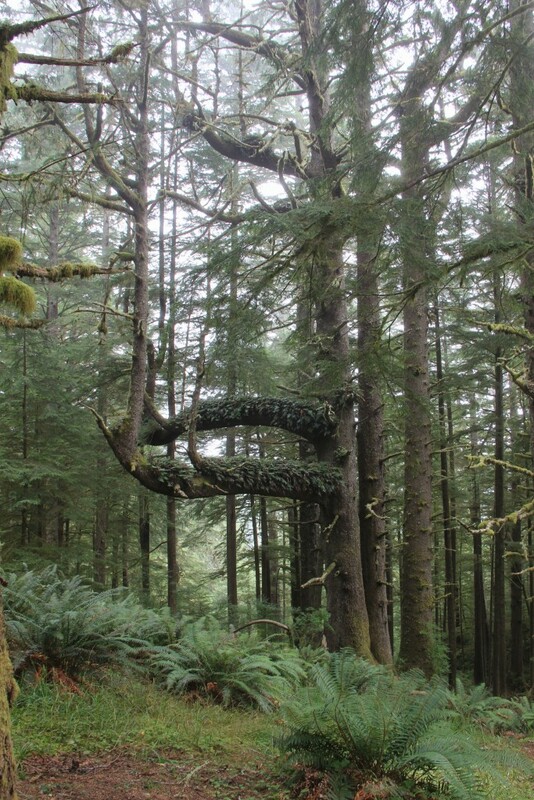 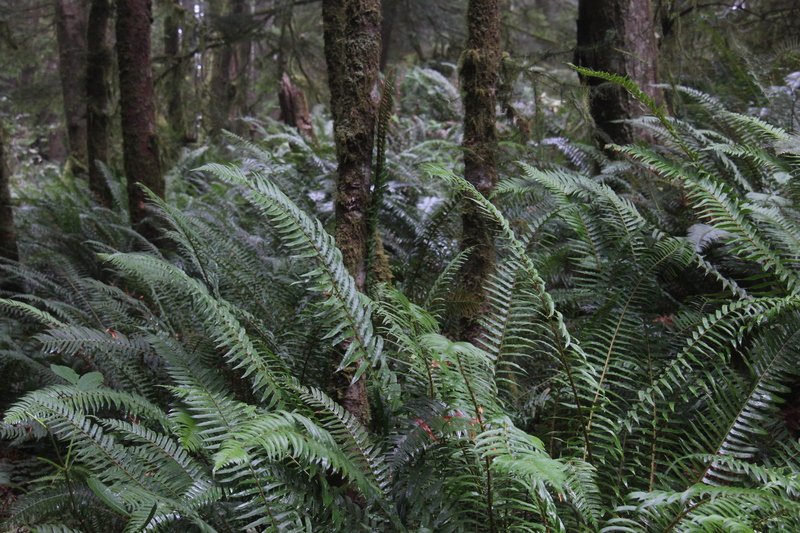 The forest we hiked through was gorgeous – I loved these crazy moss-covered trees. 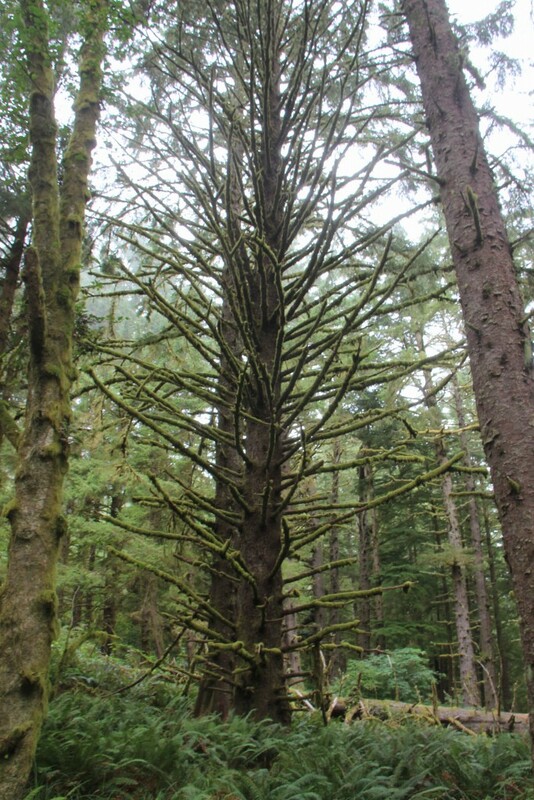 And this tree was especially crazy, with trees growing out of its branches! 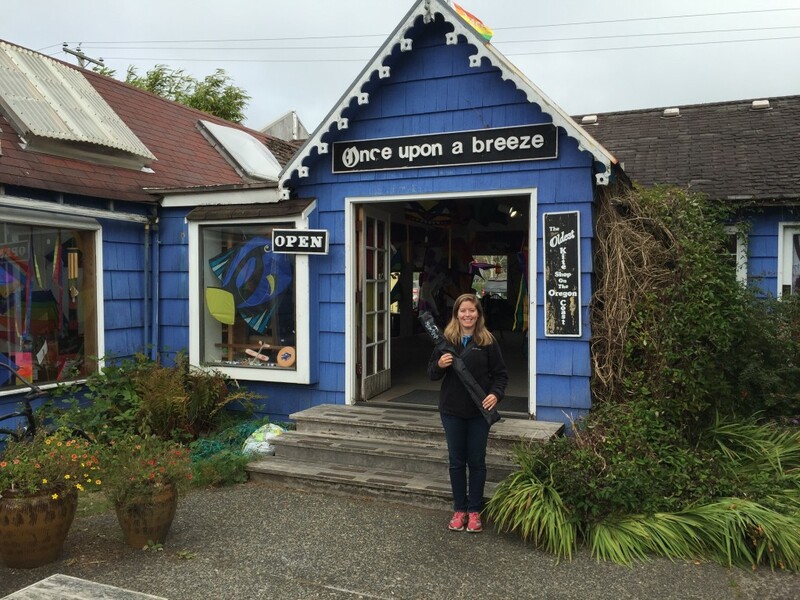 After our hike, we headed back into Cannon Beach and enjoyed strolling through the shops in the downtown area. 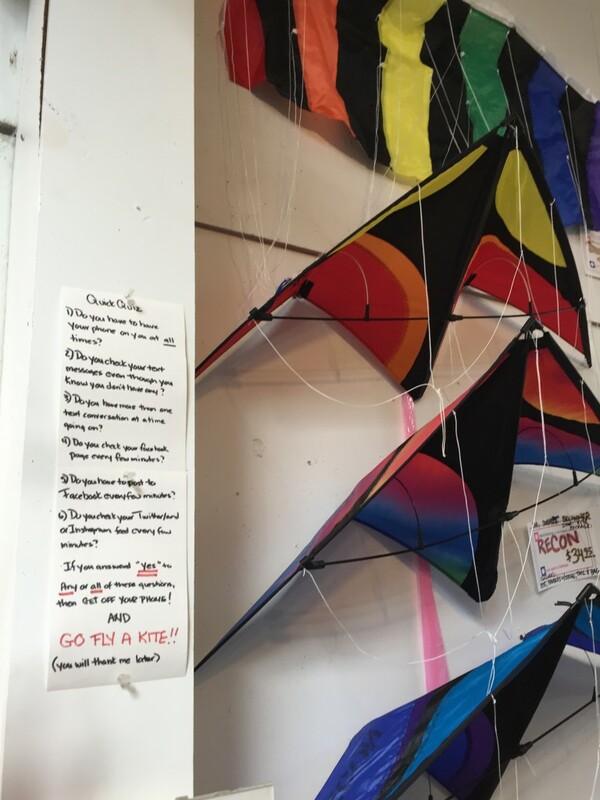 We stumbled across this cute little kite shop! 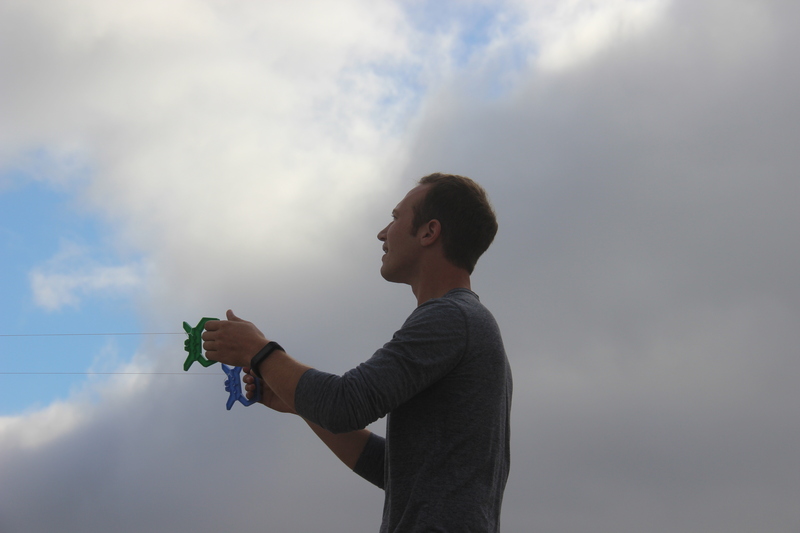 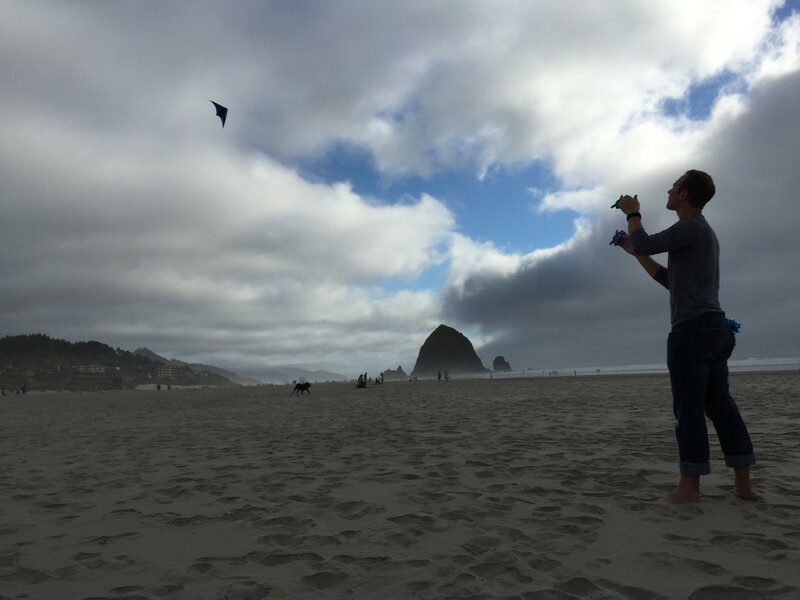 And I bought a kite! 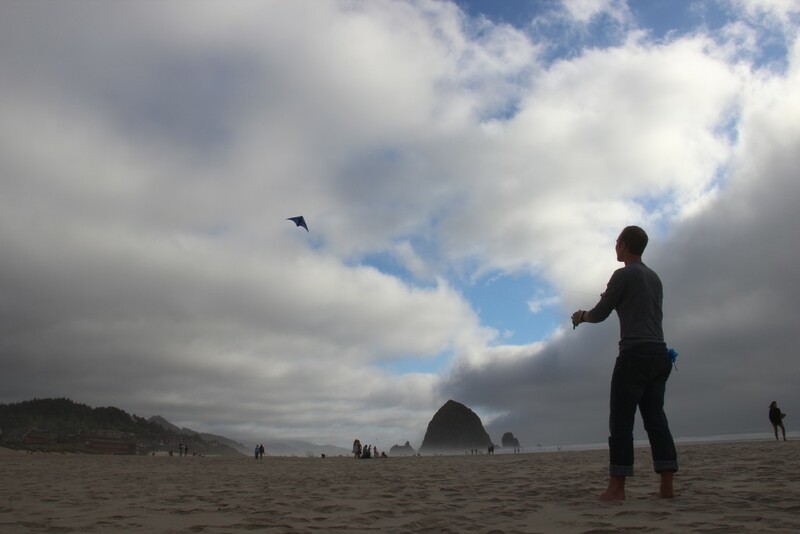 The weather had cleared up a bit, so we headed back to the beach to go fly it. 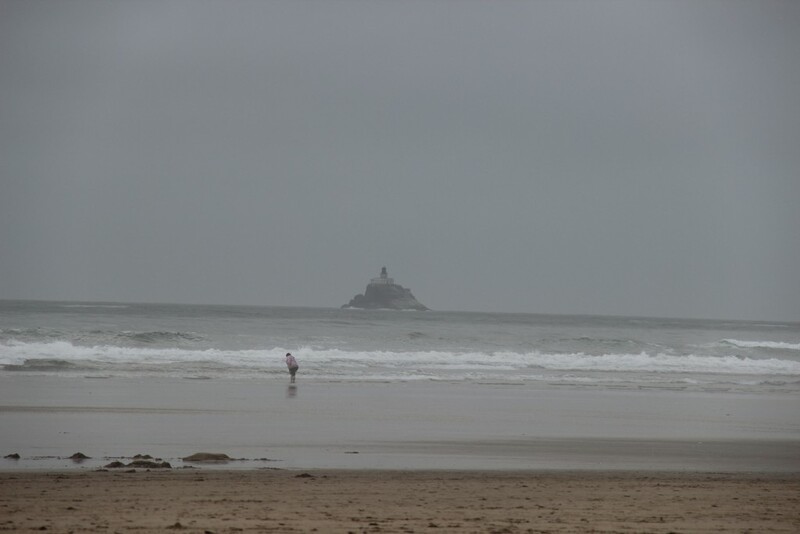 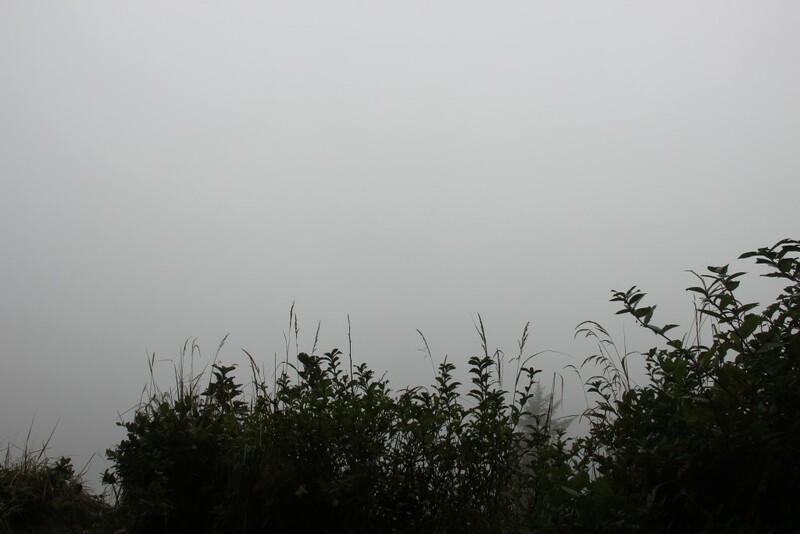 It even cleared up enough for us to see the lighthouse from a distance! 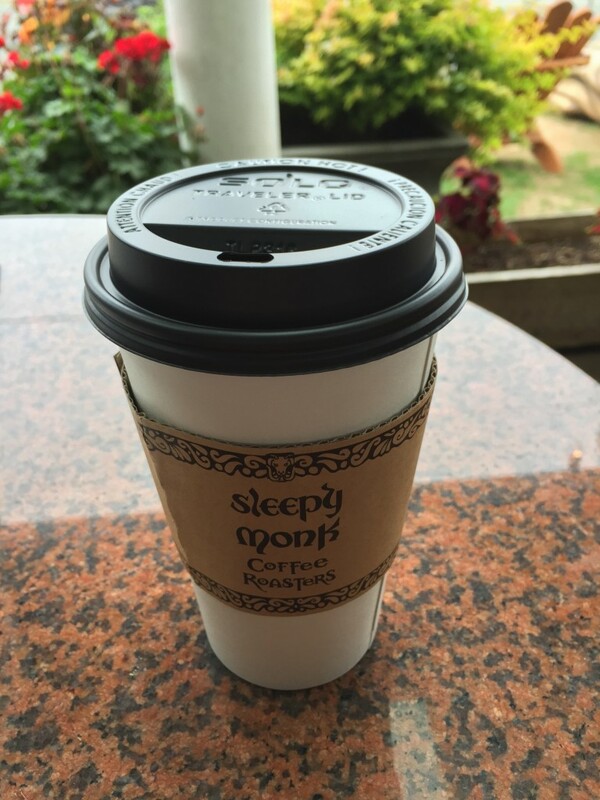 Remember the coffee shop I wrote about earlier in this post, The Sleepy Monk? Well, at night it turns into an AMAZING Irish restaurant. 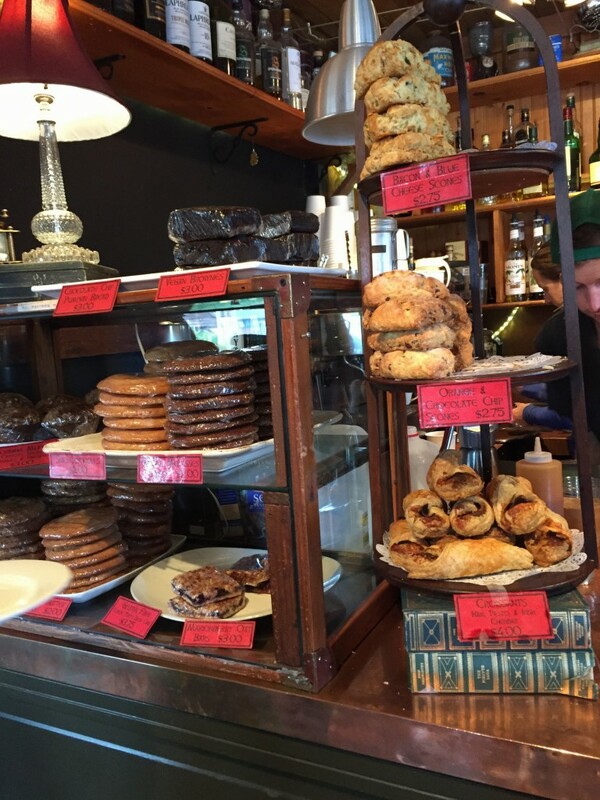 It was seriously some incredible food! 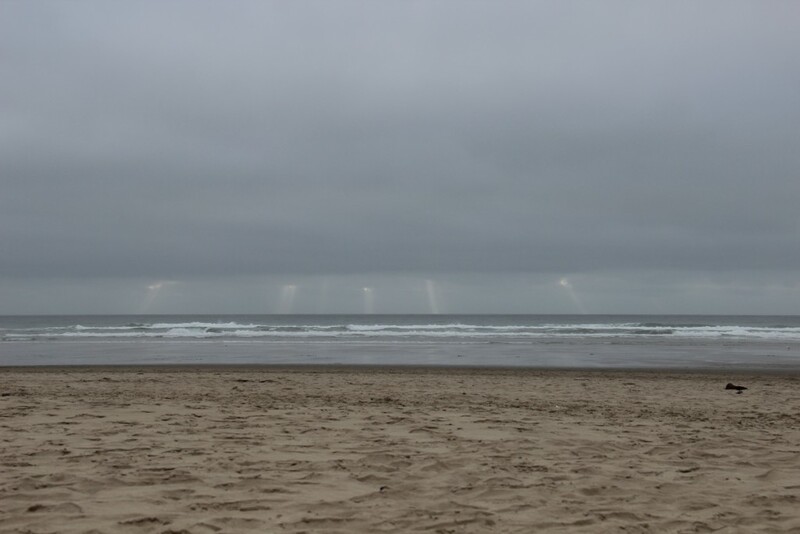 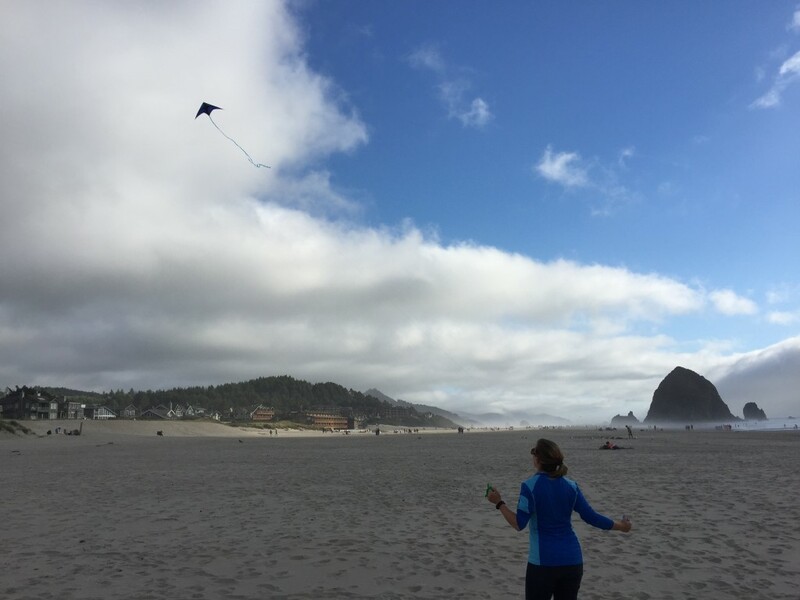 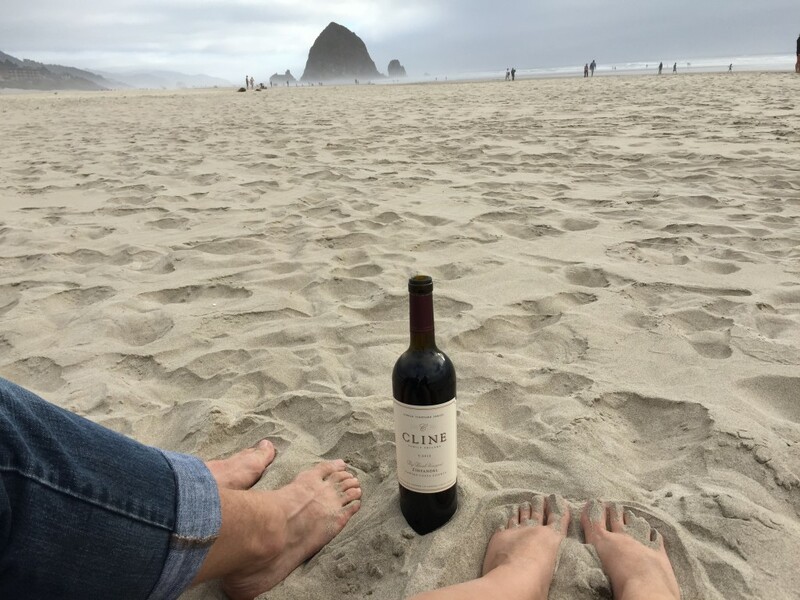 Make sure you check it out next time you’re in Cannon Beach! 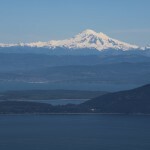 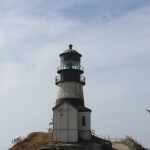 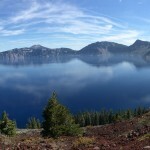 Planning your own trip to Oregon? 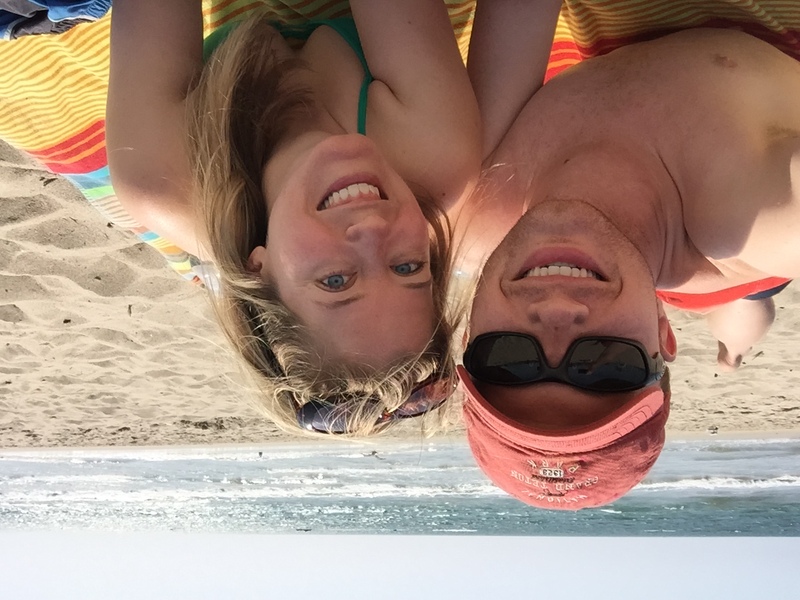 Make sure you check out these posts too!